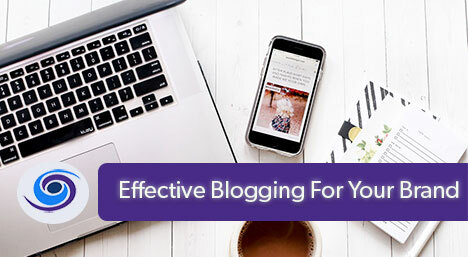 Effective blogging is blogging with a purpose to give your brand an opportunity to excel and get noticed. Too often, we get busy and forget the basic digital marketing tools. We feel blogging is one of the main ingredients to any comprehensive content marketing strategy. Master this principle and control your destiny. Trinity Web Media helps our clients become effective bloggers by adhering to some blogging best practices, which we have created and learned through our experience. Here are some tips to make sure you are blogging effectively for your brand. • Set goals for your posts: Effective blogging starts with the end in mind. What are you trying to accomplish. • Create content that answers questions and fills in gaps in your market. Be helpful, not salesy. • Post at a frequency that you can commit to for the long haul. Blogging is a long tail strategy, not a short-term fix. 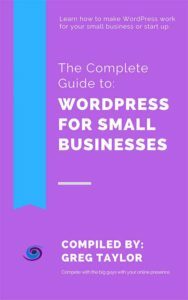 • Use multiple forms of media on your blog. Post podcasts, YouTube videos, articles and images all to your blog. • Connect Google Analytics to your company’s WordPress site. • Start now. Create something. Publish. ª Review your process/results, Refine the process/results, Repeat. These principles will elevate your brand and position you as a trusted resource within your industry.